This week, we’re doing something that the athletics federations of Belgium, Finland, and the Netherlands couldn’t manage. We’re sending an athlete to the World Cross Country Championships. 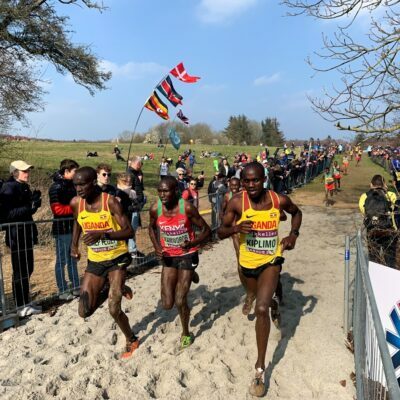 For the first time ever, any athlete can sign up to run against the world’s best in the men’s and women’s senior races at World XC, provided they hit (relatively) modest cutoffs (sub-33:00 10k for men, sub-37:00 for women). With many top US pros electing to skip the meet and many European federations sending just one or two athletes, we felt it was time to take matters into our own hands. 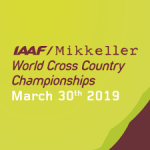 So on Sunday, we put out a call to all elite American runners on the LetsRun.com messageboard: if you commit to running World XC, we’ll pay to fly one of you out to Aarhus to take on the world’s best. One day later, we selected our runner (Editor’s note: The response has been so inspiring, we’re considering sending a second runner, so stay tuned). Let us introduce you to the newest member of Team LetsRun: Kelsey Bruce. A native of Brackettville, Tex., a small town (population 1,740) two hours west of San Antonio by the Mexico border, Kelsey, 26, began her running at a very early age. Kelsey’s mom ran at the NCAA DII level in college and continued to run afterwards and Kelsey wanted to imitate her. They lived on a ranch during Kelsey’s first three years of life and Kelsey remembers regularly begging her dad to let her out of the car once they got inside the gate so she could run to their house. They recently went back and measured it — it was one mile in length and Kelsey did that before she turned four. Kelsey ran for tiny Brackettville High School, where she was one of just 50 students in her senior class. 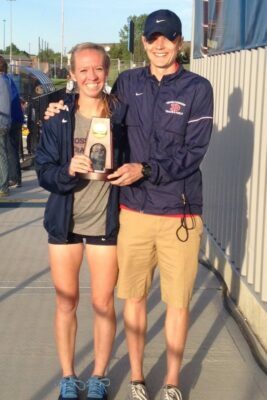 Kelsey won Texas 1A (the smallest division) state titles in XC and the 3200 (runner-up in the 1600) while producing modest PRs of 5:10 and 11:20 for 1600/3200. While she had a few offers to walk on at DI schools, Kelsey chose to attend DII Dallas Baptist University as she wanted to go somewhere where she thought she’d be taken care of and developed and also somewhere where she thought the team would be competing at NCAAs. The choice proved to be a wise one as she was a four-time All-American and finished off her collegiate career with a 4th at the NCAA Division II Cross Country Championships in November 2015. 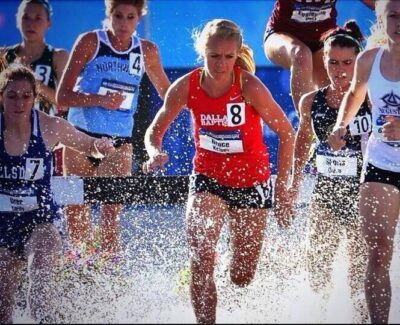 While her best track finish in college came in the steeplechase (4th at DII NCAAs in 2015), Kelsey wasted little time in moving up in distance after college. 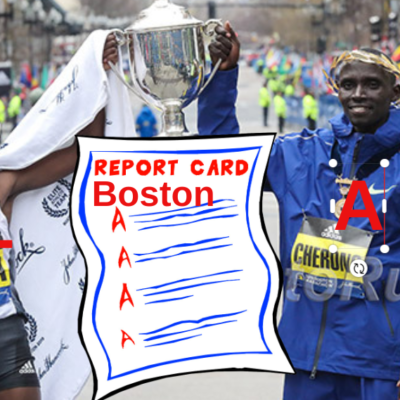 In a day and age where many US pros wait way too long to move up to the marathon, Kelsey moved up immediately. 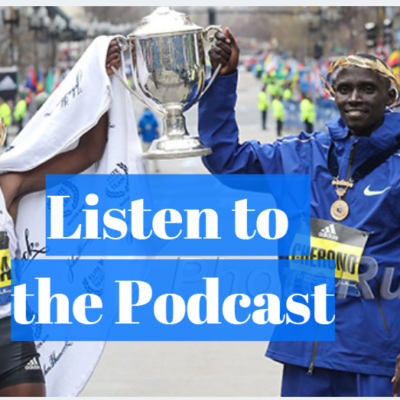 A few weeks after her fourth-place showing at NCAA XC, she ran a half marathon and qualified for the Olympic Marathon Trials, where she made her marathon debut less than three months after her last collegiate race. At the 2016 Trials, Kelsey finished 51st and ran 2:48:59 but she’s taken to the marathon like a fish to water as she has progressed very rapidly since then. In marathon number two (2016 Grandma’s) after a proper buildup, she ran 2:36:07. At 2017 CIM, she lowered her pb again to 2:34:03, where she finished 6th at the US Championships. Now she’s within striking distance of 2:30:00 as on January 20th of this year, she ran 2:31:53 to take top American honors in Houston (6th overall). 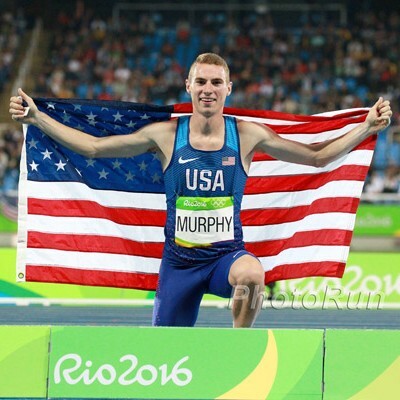 That’s a pretty amazing and quick progression for someone who didn’t even run the 10,000 in college. When we asked her why she ran the steeple at Dallas Baptist, she said she just “really liked the steeple” and admitted she was intimidated by the longer distances — she regularly declared she’d never do a 10k or marathon (she did tempo one 10,000 in college a week after NCAA indoors in 36:29.16). We guess that means she and Matt Tegenkamp share something in common, and that puts her in some pretty good company. The longer distances certainly can be intimidating when you only run 20 miles per week like Kelsey did in high school, but now that she’s on a steady diet of 100-mile weeks, she’s thriving at the longer distances. Along the way, she’s run PRs of 16:25 for 5,000, 33:50 for 10,000, and 73:57 in the half marathon and last year finished 7th at the US 25k champs and 23rd in the New York City Marathon (she ran 2:46:48, the one marathon she hasn’t PR’d in). 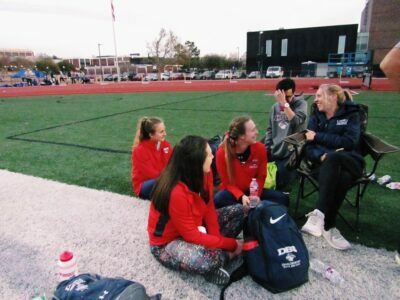 She’s unsponsored and works full-time as an assistant coach at Dallas Baptist, where she still trains under her college coach, Jacob Phillips, who is a longtime visitor of LetsRun.com. Kelsey also teaches a kinesiology class at Dallas Baptist, “Intro to Aerobic Running.” For more on her running backstory, check out this article. Phillips credits her breakthrough at the longer distances to an increase in mileage in her training. After Kelsey failed to win a national title in the steeple in her last track NCAAs, she asked Phillips what she needed to do differently for cross country (she had a fifth year of eligibility in XC) and he told her: run more. So she headed out to Flagstaff and upped her mileage from 75 a week to over 100 at times that summer. While she didn’t end up winning a coveted national title in XC, she was much improved as she led most of the race and had only been 41st in her previous showing at NCAA XC. It was Phillips who told her about our offer, sending her a link to the messageboard post on Sunday morning (and yes, Kelsey says she does occasionally visit the messageboard herself). 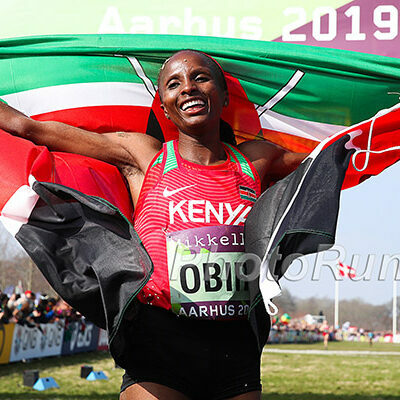 After conferring with Phillips about how World XC would fit into her racing schedule, she reached out to us on Sunday afternoon, and after we confirmed with the IAAF that Bruce would be allowed to run, booked her ticket to Aarhus on Monday night. “I really liked how y’all were so excited about it,” Kelsey says. “And then it’s a World Championship. An opportunity to compete at a World Championship, whether you’re a qualifier or not, I think is pretty cool. Maybe a once-in-a-lifetime opportunity. 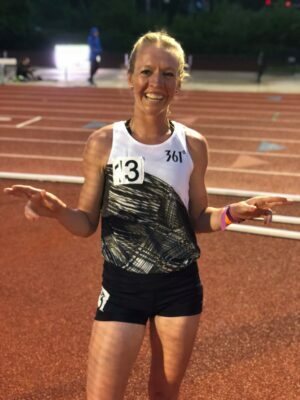 Kelsey was initially planning on running the 10,000 at the Stanford Invitational this weekend, but she did not get accepted into the field despite her 2:31 in Houston in January, a performance worth 32:28 for 10,000 according to the IAAF scoring tables. She believes it was because she was trying to enter as an unattached runner. Kelsey then switched plans to enter the Mike Fanelli Track Classic in San Francisco instead, but scratched that once she heard about our offer. 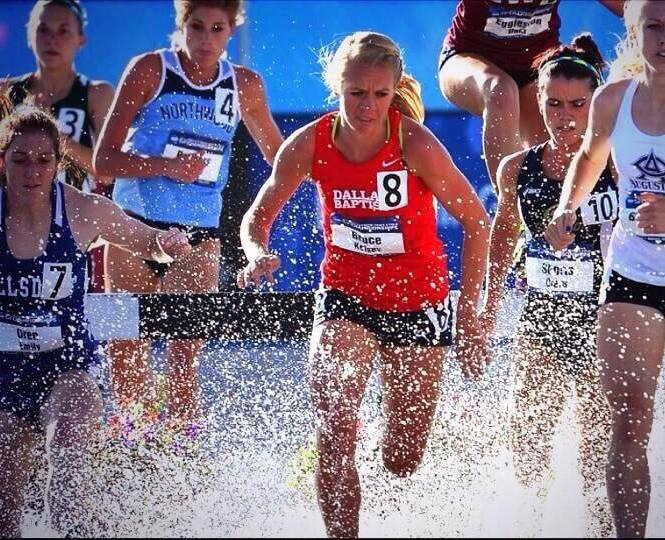 But even if she had gotten into Stanford, Kelsey says she would have run World XC. “I think this is way cooler,” Kelsey says. Kelsey’s ultimate goal is the 2020 Olympic Marathon Trials, but she wants to spend this spring working on her speed and views World XC as a good opportunity to do just that. After World XC, she’s planning on racing the Cherry Blossom 10-Miler in Washington, D.C., next weekend. As for World XC, Kelsey says she’s “really, really excited” to make the trip. It will only be her second time visiting Europe (she visited a friend there last summer) and her first time to Denmark, but mostly she’s just excited to race in a World Championship and soak in the atmosphere. Though Kelsey’s result won’t count in the team score, she said she’d like to at least be “in the vicinity” of the Team USA runners during the race. She says she doesn’t have a place goal in mind but is pumped to see how she compares to the world’s best and the good news is Kelsey says she feels like she’s in the best shape she’s ever been. Kelsey also says that she’s thankful to Dallas Baptist, her team, and Coach Phillips for their support. We’re thankful Kelsey took us up on our offer, because to us, runners like Kelsey are the best thing about our sport: people who aren’t afraid to dream big and take their shot on the biggest stage. 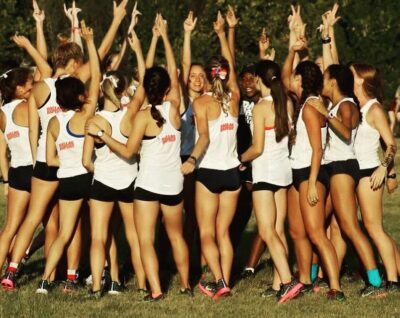 Our minds were blown when we read a 2:31 marathoner couldn’t get into the Stanford 10,000. It reminded us of the early days of LetsRun.com when we were trying to talk our way into meets ourselves. Go get ’em in Aarhus, Kelsey. Hunt them down.